Hey loves welcome back. 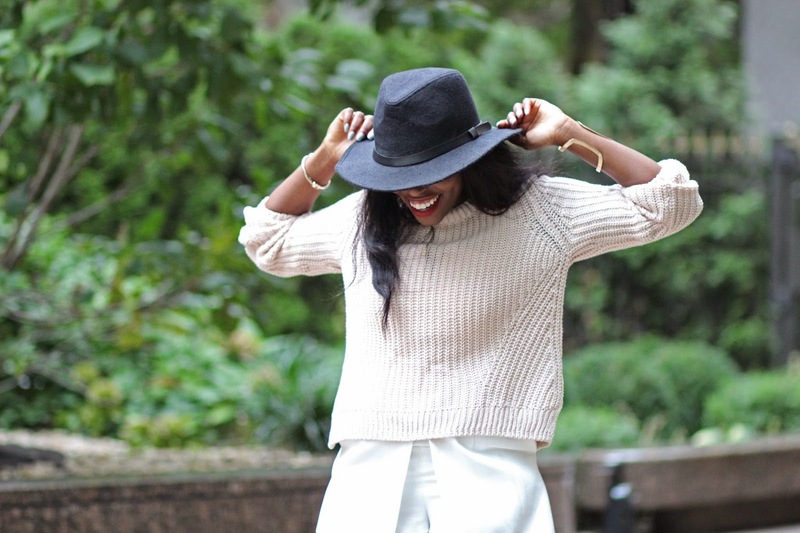 Fall is officially here and I love transitioning my favorite summer pieces into fall. Transitioning pieces like a sweater, cardigan, blazer or jacket allow you to be creative with mix matching. The amount of outfits that you can create with transitional pieces are endless. You can throw a sweater over your favorite maxi dress or pair it with your favorite summer bottoms for an effortless fall outfit. If you are not able to tell, I am wearing the same romper (SHOP HERE) that I wore in my #parisfashionweek inspired outfit (READ HERE). I added this knit sweater from H&M (SHOP HERE). This sweater is a steal, it's only $19.95. They have it in white as well, I have both.